This Chelsea Manu. She is ten years old. She is a regular contributor to this blog. Chelsea attends Class 5 at Holy Child. She likes football and bicycling and dancing. Chelsea wants to be a weather scientist when she grows up! A short but sweet lesson in Ashanti dancing, starring Rosalyn Ananemanu and featuring Loreda Zachary (in pink), Chelsea Manu (orange skirt), Emmanuella Manu (2nd tallest girl), Najact Rewieda and Ebenezer Boadu. This is Rosalind Ananemanu. She is 7 years old. She is in Class 2 at Holy Child Elementary School. Rosalind likes to read and write. In fact, her friends tell me that she is “very, VERY good” at reading. She also likes to do sports, especially bicycling. She also happens to be an excellent dancer. You can see one of her recent performances here. Rosalind has one brother and four sisters. She is the youngest child in her family. 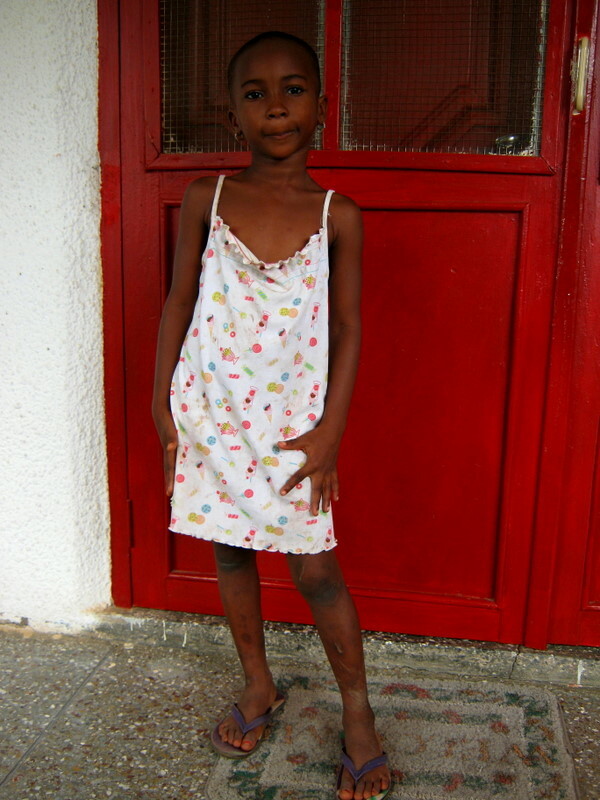 Her father is a miner for AngloGold Ashanti, and her mother is an English teacher for Class 1. 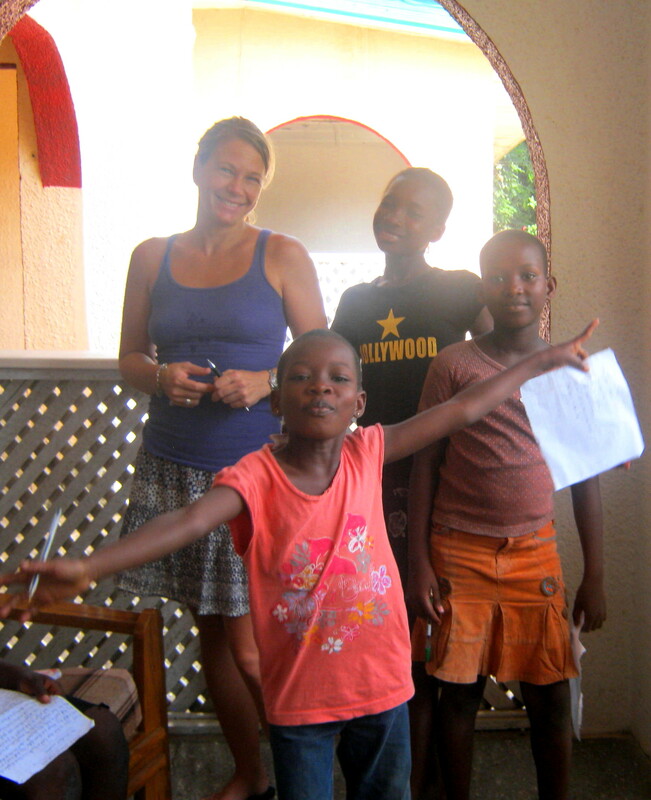 Rosalind wants to be a doctor when she grows up! This is Loreda Zachary. 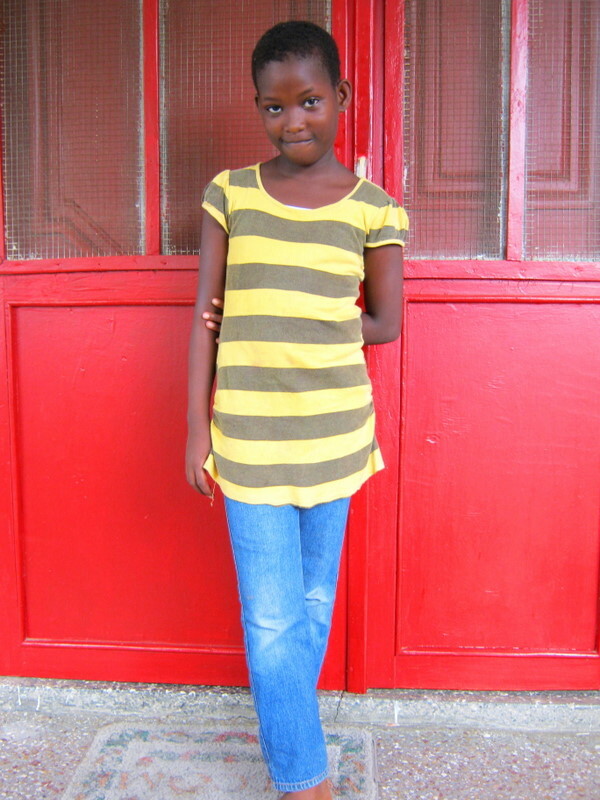 She is 5 years old and is in Class 1 at Jesus Cares Elementary School. Loreda can already read and write! Her mother is a trader at the Obuasi market and her father is a miner for AngloGold Ashanti. Loreda is an excellent dancer. You can see her getting down in this “Crazy Kids” Dance Clip as well as in this one here. 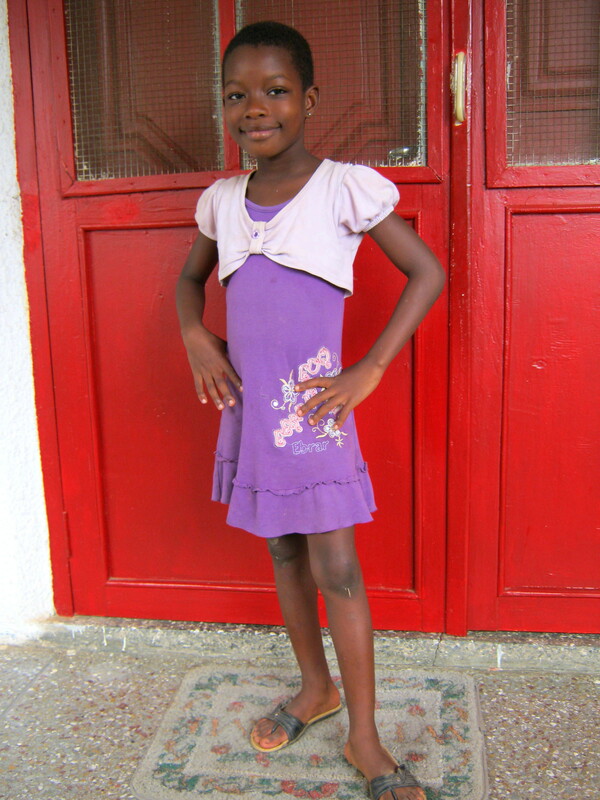 When she isn’t busy going to school or dancing, Loreda’s favorite activity is eating fried rice. Not only does she confirm that this is her favorite thing to do; all of her friends agree that this is the case as well! Najact Rewieda is 11 years old. She attends the AGA (AngloGold Ashanti) school, where she is in Class 5C. Najact has 2 sisters, one older, one younger, and also one younger brother. Najact’s father is a miner for AngloGold Ashanti. Her mother is a trader. She sells ground nuts at the Obuasi market. Najact enjoys bicycling and football, running and also swimming. 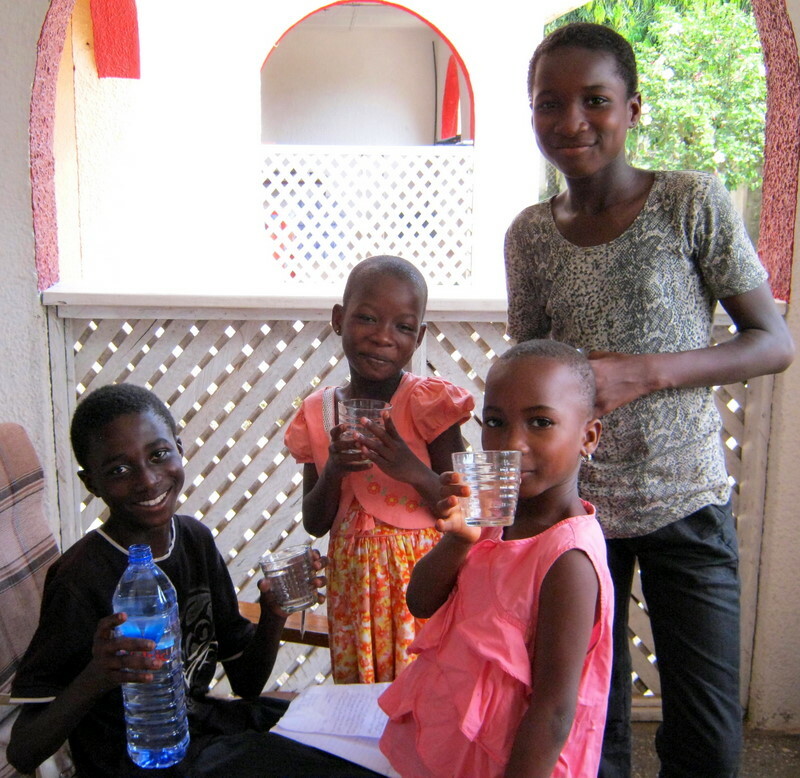 She has contributed to a number of stories on this blog, including “The Three Friends“, a story about three friends named Najact, Ebenezer and Chelsea! “Crazy Kids Song & Dancing Clip” performed by our bloggers! Presenting a song and dance on my front porch, by the bloggers themselves! The language they are singing in is called Twi, which is the primary language of these kids and of most Ashanti Ghanaians. The children named this clip “Crazy Kids Song & Dancing Clip”.